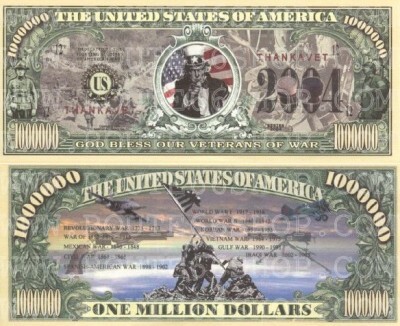 Collections/Sbírky - money / bankovky - Army/Military - Military_God_Bless_Vet. Motiv : God bless our veterans of war. 1.milion $. l.milion dollars funny paper money, bank note. Fullcolor doubleside print.